Since I did a blog post here, what can I say? I've been working hard in the off season to bring a better package to the British Grand Prix in July (19th) where I'll be facing off against 4 former British champions with the chance of a place at the Arnold Classic! Not to mention another fat trophy. It's been a massive learning experience, trying different feeding methods including the feared night time carb-load. Playing with various training patterns and of course focusing on the weak points. I'd love to see you join me at the IFBB British Grand prix in July! First of all let me tell anyone reading this that the best source of chicken for both convenience and nutrition is that from GoldStandard, the ready cooked, steamed chicken breasts they do are really the best option for healthy living (unless you happen to own a free range chicken farm, in which case lucky you!). Unlike supermarket chicken they contain zero preservatives and you can tell straight away that no extra water has been added, I don’t eat any other chicken myself and urge all my clients to do the same. You can buy them online directly for the GoldStandard website. Secondly I’m all about convenience, although the title here makes it seem as if we’re creating a delicate, fine-dining experience – it literally takes 3 minutes to prepare (yes I am serious). Shopping list: Chicken breast (GoldStandard recommended), pesto sauce (no added sugar), Quinoa, Chickpeas, Bulgar Wheat & Rice Waitrose Love Life 250g (available from Waitrose, in pre-cooked packets). Note: If you can’t get this exact product you can of course use wholegrain rice or quinoa cooked yourself, even wholemeal pasta, I’m listing this option as it’s just so easy. Chop your desired amount of chicken breast (for me a portion is 150g), add two teaspoons of pesto sauce and your desired amount of quinoa/rice/bulgar wheat mix (for most of my meals I use 100g which give your roughly 30g of carbohydrates, follow your diet plan to get the right amount of protein and carbohydrates) and mix together. Now for the best part… This meal can either be eaten cold or heated up (microwave for 2 mins). Delicious, healthy, versatile and guilt-free. This recipe is also available in downloadable PDF format in my DIET > RECIPES > DAYTIME section. a massive dose of tribulus to boot. It also contains saw palmetto and stinging nettle extract to control DHT conversion and something with a very long chemical name to stop estrogen conversion (2 ticks in two boxes). Stay with me now that the boring jargon is finished. and the next morning completely forgot that I had even bought it (that’s what fasted cardio at 5am can do to you!). It was only a few hours later when I started wondering why I was in such a good mood that I cracked the code! I was sitting at work inundated with the usual annoyances of someone working in IT (usually down to user idiocy I must admit) and I wasn’t get wound up like I usually would, then I started thinking of all the jobs to do that day (a busy day by my standards) and instead of the feeling of dread at the sheer amount of tasks to be faced I found myself exited and relishing the challenge. I had that feeling I used to have as a child when you wake up and the birds are singing and the sun is out – like I can handle anything. Keep in mind that I still had forgotten that I took this product the previous evening, therefore eliminating any conscious placebo effect. 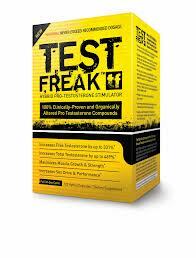 I thought to myself “what’s changed?” Then it came to me… Test Freak changed, me, for the better. When I design diet plans for clients I usually point them in the direction of Iceland or one of the supermarket chains to get ready-cooked chicken. Most people don’t have the time and energy to cook up kilos of chicken multiple times a week (if you do, great – you have more time than most people, enjoy it!). They want something ready-to-go and in this age of instant gratification and limited time, it’s a no-brainer. injections. It comes in a 2.5kg pack of frozen, pre-cooked breasts and wait for it, the price…£19.00 for a pack (this drops down to £17.00 if you purchase 4). I found it difficult to find uncooked chicken for this price, let alone cooked. Simply pop out a few breasts the night before, leave in the fridge and in the morning they are ready to rock. As if this wasn’t enough I can tell you from my own experience (eating a very measured diet, every meal weighed and calculated) that 140g of this stuff will leave you as full as 180g of the supermarket options, which, let’s be honest, are pumped full of water. It’s worth adding this into the equation when calculating the value of this product. I for one will never go back to Iceland for my chicken and I encourage any of my clients and members of this site to give GoldStandard a try. You will thank me. 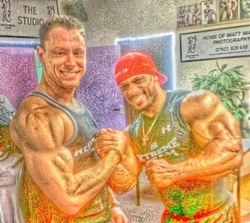 This past Saturday was a great day for me, attending the Fitness Authority Team Extreme seminar at Panther's Gym. The athletes comprise some of the best bodybuilders on the planet with British and world champions not to mention IFBB Pro and rank #2 212 division Sami Al Hadad. It was a real inspiration to be training alongside the top athletes in bodybuilding, although it reinforced my own goals and put things in perspective for me. We all need a reality check sometimes. Lots of work to do, re-fuelled my motivation tanks. Thanks to the guys at FA and the athletes for putting on this event for free, also thanks to my good friends at Panthers for providing the venue and food! Thanks to all my supporters, freidns, family and fans for the encouragement along the way, without your motivation this journey would have been impossible. Special thanks to Sean and Helen from Panthers gym who are very patient with me, increasingly so the closer to show time. To my partner Natasha who has been very tolerant of my moods! To all my friends and family to whom I owe some real time once this season is out of the way. "I decided to compete in a local amateur BodyBuilding event only 2 weeks out from the actual show after being approached and encouraged by the organiser as I was quietly training one day in my local gym. Panic set in as 2 weeks did not give me time to really work on my weaker body parts and prepare myself mentally and physically. So I needed expert advice and fast. 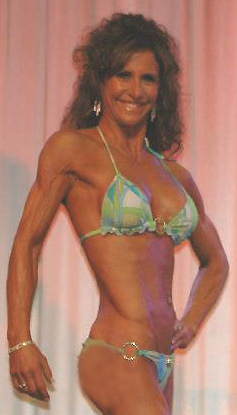 I contacted James and explained that I needed guidence on diet/nutrition only 2 weeks out from an event. James was fabulous, he advised on carb cycling, salt and water loading and depletion, what to eat the night before and on the day. I can not thank him enough and even though I knew no one could prepare for a show with 2 weeks notice, he helped me to get the best out of what I had to offer on the day. Next Year I will be more prepared with the knowledge I have now aquired through James's expert advice. the food you eat then you will have to use fat stores to make up the difference. Now there are a couple of subtleties to this that will help. Where do I start? Some basics and 10 rules to live by. So where can I start? It’s all very good for athletes and trainers to harp on about “advanced training technique X” or “the secret training system for extreme fat loss” but really what most people (and by this I mean people who may not be gym goers, overweight, self-conscious etc.) want is an idea of where to start without killing themselves! 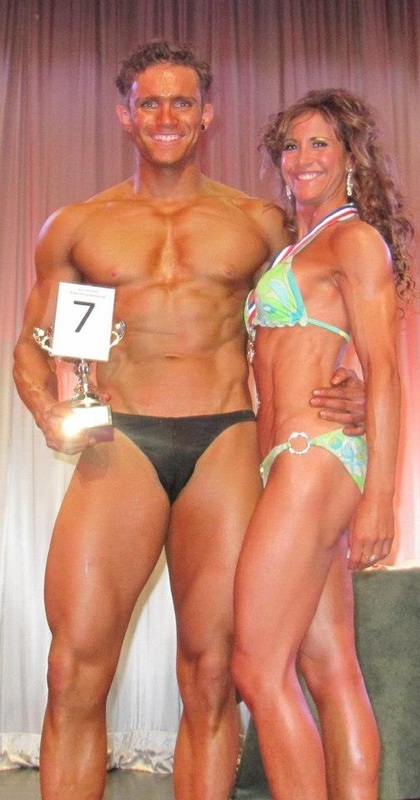 presented to me during my pre-contest prep – but I stuck with the advice from my coach and achieved success. Don’t stray from the advice given! Get a good night’s sleep; don’t fall into the trap of sleep debt. Sleep is when your body heals itself, it’s so important! Don’t skip breakfast; by doing so you mess up your metabolism and cause your body to be more likely to store fat. This one is so important and every person I speak to who says they “just can’t eat breakfast” soon sees the benefits once they start. Don’t overeat, binge eating is a great way to get fat - you should never feel bloated after a meal. Green veg; so important to leading a healthy life I can’t begin to tell you how much my health improved after upping my green veg intake (see my kale shake recipe). Goodbye constipation. Low fat arrgh!?!?! Generally speaking “low fat”products are worse than the regular versions, instead of having fat they are usually full of sugar instead (which in my opinion is much worse). I'll have a full-fat yoghurt over the low-fat version any day. Processed food; avoid at all costs – everything should be from a natural source if possible. Vitamin pills: Forget apples, one of these a day will help to keep the doctor away!